but why use the food processor to make vegan gauc? I know, I know, some of you may be thinking, but whyyyy use a kitchen equipment that is totally unnecessary? Whyyy add to the already ever growing stack of dirty-things-to-wash on the kitchen sink? Why not just grab a fork and smash it up the good ole way? 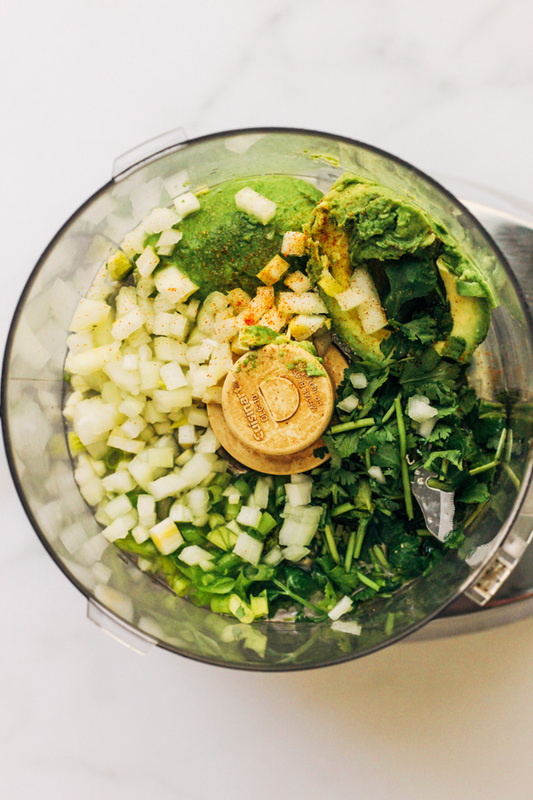 Plus, as far as taste and consistency goes - the food processor helps break down the cilantro, green onions, garlic and onions (ps. I prefer to use red onions for guac, but ran out on the day of the photoshoot and subbed with yellow onions and it worked out really well), and it helps better distribute the flavor of the ingredients throughout the guac. 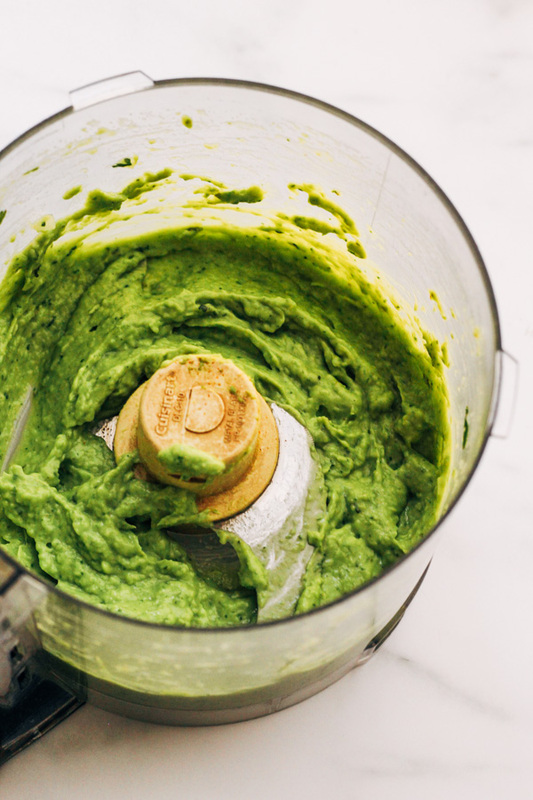 If you prefer a chunkier guacamole, then feel free to skip the food processor completely. 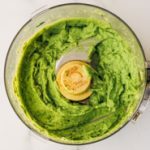 This vegan guacamole recipe is really easy. Seriously, it is. Just add all 8 ingredients to the food processor, hit that button and watch the avocado magic happen right before your eyes. I usually let mine process for a good 10 to 15 seconds or so, then I scrape down the sides and let it process a few more seconds. You can stop whenever you feel that the avocado has broken down enough and it has reached the consistency that you like. Some people prefer a chunkier guac while others like it really creamy. Enjoy this vegan guac on top of tacos (this raw vegan romaine lettuce tacos recipe would be a perfect pairing), on top of nachos, or serve it as a dip with chips. 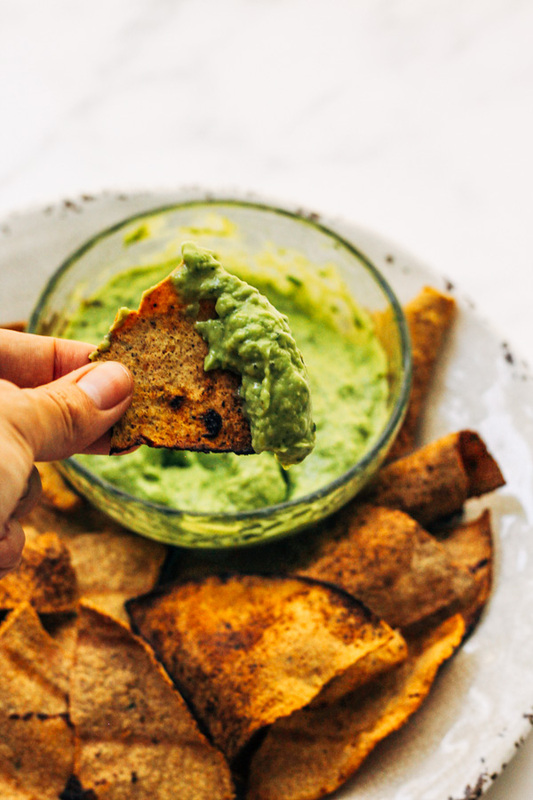 What's your favorite way of enjoying tasty creamy vegan guac? Share with me below! Want to see more vegan food processor recipes? Check out this roasted carrot garlic hummus dip or this roasted beet hummus dip. 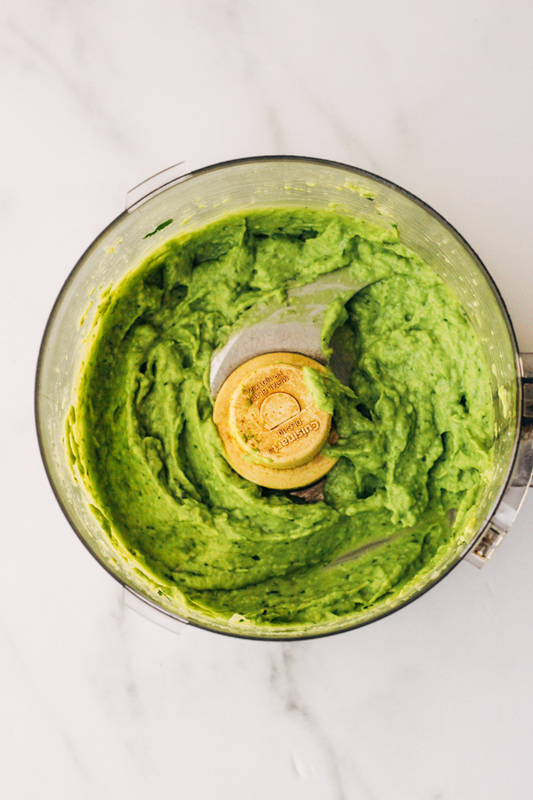 An easy vegan guacamole recipe using your food processor that is quick and full of flavor. Only 7 ingredients! Add all ingredients to your food processor and process! That’s it. 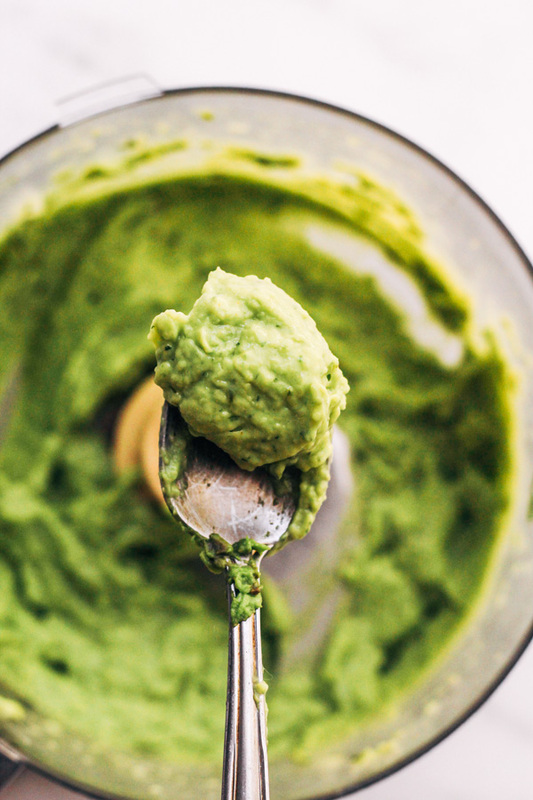 You’ll have creamy guacamole in no time. One hass avocado usually makes enough guac for 2 people. Double or triple the recipe if you are making this for a larger group.